Our company is looked upon as one of the preeminent Crimp Mesh Manufacturers and Exporters from India. The use of optimum quality materials in the manufacturing of the S.S Crimp Mesh Sheet ensures high durability, tensile strength and resistivity to adverse conditions. 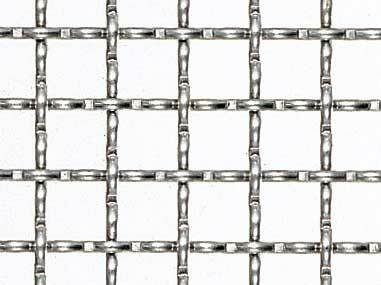 Moreover, customers are eased with the availability of the Galvanized Crimp Mesh in varied sizes and dimensions as per the specifications provided.